"It's not a want or a matter of aesthetics. It's a safety issue," Riverhead Town Justice Lori Hulse said, calling the conditions "an abomination." 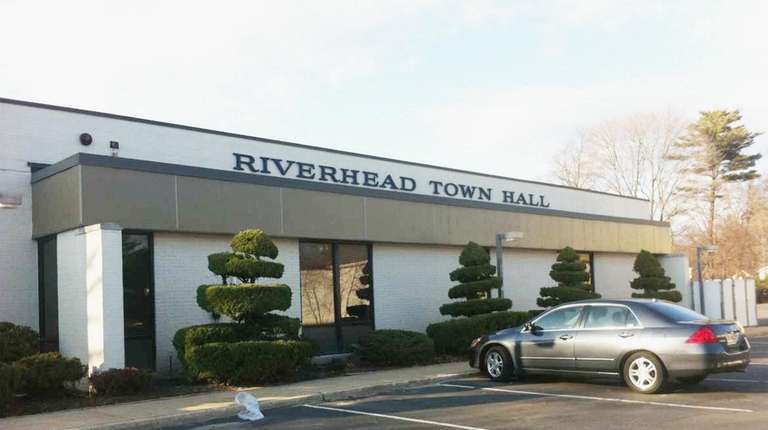 Riverhead Town Board members are considering options to expand and upgrade its court facilities, which court officials say lack enough space for staff and lawyers to work or even for securing criminal defendants. The current justice court facility on Howell Avenue is outdated, court officials told the board at its Thursday work session. They said the lack of space has led to overcrowding in several of its departments and in court, and it has sometimes resulted in juvenile defendants being mixed in with adult defendants in the facility’s holding area. On a typical day in the court facility, staff could be handling between 126 and 165 cases for trial or pending cases, Hulse said. The building — built in 1985 and also home to the Riverhead Police Department — has deteriorated, said both Hulse and Town Justice Allen Smith, with little space for staff to store court records or for attorneys to hold conferences with clients. Smith requested in December 2017 for the previous town board to repurpose an abandoned New York State armory building on Route 58 to serve both the court and police. The board did not take action on the request at the time, Smith said Friday, but it's one of three options presented to the board Thursday. Total renovation costs for the town-owned armory were estimated at $12 million, according to deputy town engineer Ernesto Rosini. 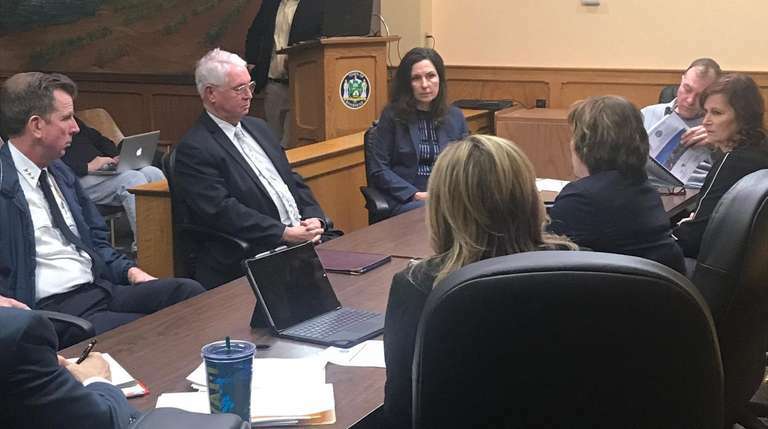 The second option, which would cost an estimated $6.3 million, would expand the neighboring Town Hall facility on Pulaski Street to create space for the justice court there and allow police to use the entire Howell Avenue building, Rosini said. A third option, estimated at $8.5 million, would expand the Howell Avenue building from 16,400 square feet to 31,227 square feet. Court officials said they preferred to use the armory facility, which is 40,592 square feet, because it has enough space for staff operations and parking for both court staff, police, and others coming into court. “There would be a public parking area and a secure area for police, and you don’t have to buy a piece of land,” Smith said. While it was the most expensive option discussed last week, it would save the town roughly $7 million when compared to building a new court and police facility, which was previously estimated to cost $23 million, Smith said. Jens-Smith asked court officials to talk with town engineers for more information on their facility needs and to present those details to the board at a later time.